Give the same permissions to multiple users in bulk. 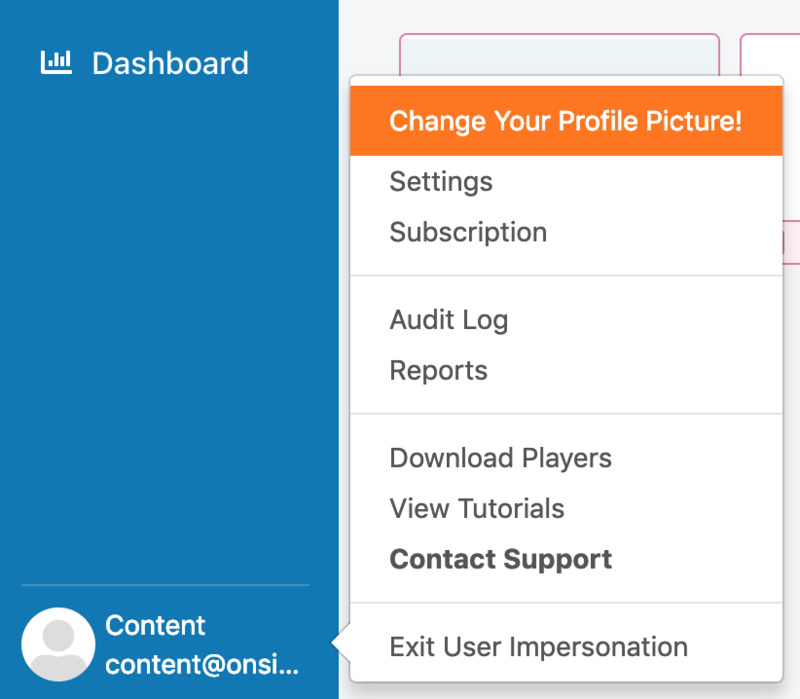 Click on your username on the bottom-left corner on your OnSign TV dashboard. Select “Users” from the menu. 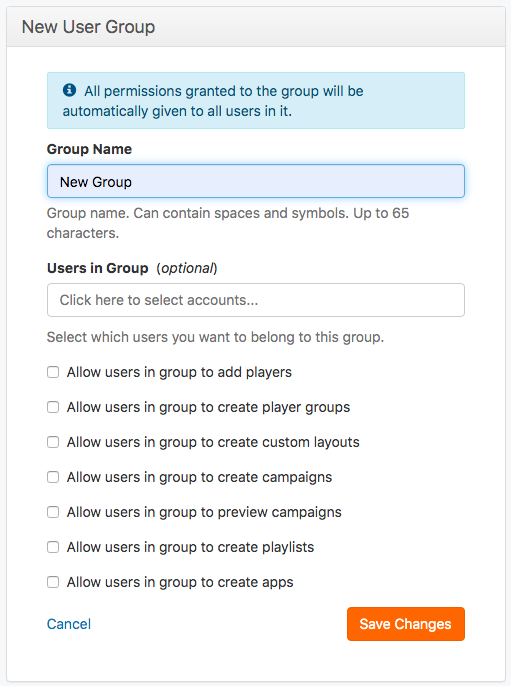 If you wish to add more users before doing a group, check out how to create additional accounts. Click the “Groups” tab at the top of the page. 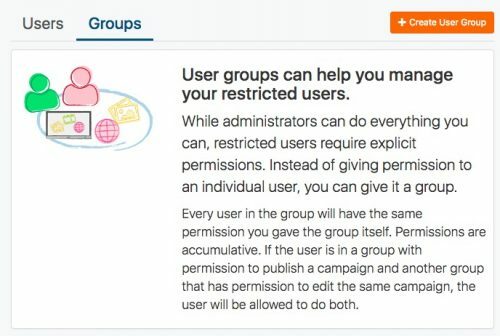 Continue with "Create User Group"
Name the group, ideally by detailing the organization and/or function which the users in this group will perform with signage (i.e. designers, publishers, editors, etc). Select everybody you want to add to this group by typing or selecting their usernames in the "Users in Group" box. Check the actions they are able to perform. You can adjust these permissions at any time. Now all selected users are able to perform the actions you enabled! If they are recently added users, they will be able to create content, but won’t view content created on the platform prior. In this case, you can add permissions, so users will be able to edit existing campaign.